Message for mankind: Think the galactic way by opening out into your Galactic Being. We the council of light are ‘you’ in this enhanced layer of frequency in ‘your’ physical bio-suit as connected beings on Gaia through the human participation, understanding and involvement on earth as part of the fields of all entities that are executing Gaia’s contemporary /advanced/current/unique light frequency. That which you are participating in now is this inter-galactic development of the biological suit, spend as much earth time as you feel you want to in a state of BE-ING in the moment in this way of THINKING, it is a new way to THINK about what you are doing. You are NOT a lonely human functioning on the 3d earth. You are a Galactic soul functioning on Gaia in your SOUL TRUTH as a Galactic travelling being that holds the light frequency on earth, you have come Into the learning halls of the inter-galactic studies. This next term has brought you into the 9th level of Galactic reality, it will take three earth years before you complete this and move into the first of the 1.0. Level [the initial version; yes! As in the Internet set up]. It’s the 1.0. Level that goes beyond earth local frequency the earths vibration is a set HZ wave/light frequency. At this point I asked a question. Is the 1.0. Another set of wave frequencies? No! They tell me: it’s the measurement of the quotient light from the outer Galaxies via the 22 Galactic Diamond crystal light that is a spiralling connection to the entire conglomeration of this universe that picks up the 1.0. Spirals of the old HZ measurement and converts it to the measurement of the Multi D packets of Quotient light that are a compilation spiral, an aggregation that functions in space time of all universes. EXPLANATION: Instead of the flat wave measurement each measurement of the Multi Dimensional packet of quotient light are a compilation of spirals, an aggregation that functions in the space-time of the universes. Aggregation. [Meaning; several things grouped together or considered as a whole]. This light is Anchored into Gaia in the Central Sun in Agatha, Inner earth, connecting to the crystal magnetic core, you are all holding it, you are the earthly consciousness attachment to keep this flow anchored in a totally conscious way on earth via your thoughts, to create an un-severed current of this spiral 1.0. Light. We are the inter-galactic consociate connection to hold and act together in combination bringing this light onto earth while you attach it. Thank you. 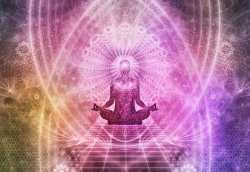 This info has been given to me, I can feel the connection in my hearts, higher and lower and my solar plexus, it is very new stuff and I am giving it from my personal perspective; each person who reads it MUST use their own perspective and insights to what is being given and what it might mean. I looked up the meaning of 1.0. And I got 2.0. 3.0. As well they relate to the way the Internet is set up, 1.0. Is First generation 2.0. Is the second generation? The 3.0. Is not defined yet! The words that came out at me when I tried to find out about the 3.0 were connection, intelligence and connected data, that’s as far as I got with it, I leave it open because I do not know what this relates to; if anything. The intelligence fields say that earth is at a level of understanding and the use of electronics, Internet, etc. is a great part in this time of Gaia’s evolutionary. On the 3rdD and 4thD many are caught up in the monetary gain through this media, In the Galactic bigger picture it’s a means to an end: this means the way info is/can be distributed by this media. This info can and is taken on the 3rd D level going into the 5th-9th D level and applying the Galactic concept can bring the mind into the higher realities. In this case the 1.0. And 2.0. Is the initial version of mankind and Gaia’s up-grade into these galactic frequencies? Know this and keep ‘being' in this way of thinking, it’s a new way to think about what you are doing. Remember! What you THINK creates your reality! Thoughts have the power to re-create life on Gaia.